A rare advertisement. 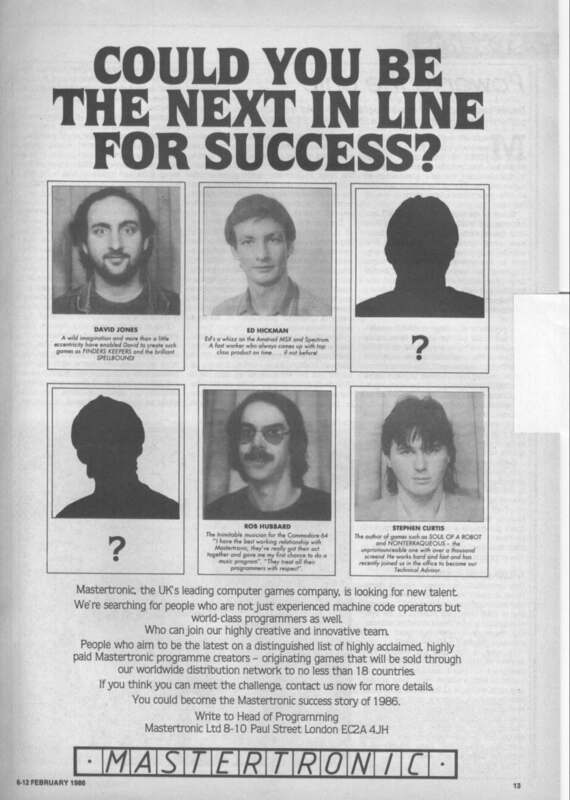 Mastertronic recruit programmers in this ad in Popular Computing Weekly, February 1986. We were mainly looking for freelancers who could take on conversions. There was no intention of developing games in house.